How would you react if you went into work one day and found out that you and your coworkers would be the new ingredient in a product that your employer is planning to introduce to the market? I, for one, would not be too happy with that idea but that is exactly what happens to Abe in Oddworld: New ‘n’ Tasty, the remake of the 1997 classic from developers Oddworld Inhabitants and publisher Just Add Water. This reiteration of Abe’s first adventure follows the same story line as the original while boasting all-new graphics, sounds and controls. As a lowly floor waxer at Rupture Farms, a large meat-processing factory on Oddworld, Abe accidentally overhears the plans of his boss, Molluck the Glukkon, to turn Abe and his fellow Mudokons into a range of new meat products in an effort to save his failing meatpacking empire. Abe’s first reaction is to get out of there as fast as he can but he decides that the only way to stop Molluck is to destroy the factory all while rescuing the other Mudokons and setting them free. Abe has to figure out how to get by that guard down there or he is dead meat. Oddworld: New ‘n’ Tasty tasks players with taking control of Abe and navigating around the labyrinthine factory to save his people and bring down Molluck and his meatpacking empire. Abe is not just your average leading man, er, Mudokon, however, and uses many platforming staples to get around the factory’s myriad levels. As Abe, you will have to run, jump and creep your way to freedom while battling guards and deciphering deadly traps. Abe can also communicate with his fellow Mudokons by saying hello and then giving them orders to follow him or to stay where they are. He can also whistle two different tunes and pass gas in three or four different tones. All told, Abe is equipped with everything that he needs to be victorious and will often encounter allies that will help him along the way. New to this release is the inclusion of the ability to set your difficulty level. 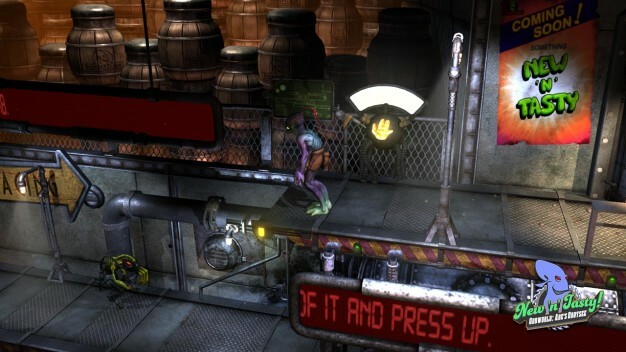 The original is known very well for how difficult and punishing it could be but Oddworld Inhabitants thought that this time out, players should be able to select the type of difficulty that they want from their experience. For this review, I played on Normal difficulty and there were still some areas that got to be pretty hard to get through. Be prepared to die…a lot. The good thing is that there has also been an upgrade to the amount of checkpoints added to the levels so that if you should die in a particular spot, you don’t have to try from all the way back at the beginning of the level. It would have been really frustrating if that was the case as even the level of difficulty on one level can fluctuate drastically. I think that the inclusion of more checkpoints is the feature that will keep players on Oddworld for many, many hours. The upgraded graphics look astounding! Oddworld: New ‘n’ Tasty didn’t just get an upgrade to its gameplay; it also got a fabulous upgrade in the game’s visuals as well. Abe’s latest outing highlights a new dynamic, intelligent free-flowing camera as well as much larger level areas that make it a lot easier to focus on Abe and be able to see where he is at at any given moment. 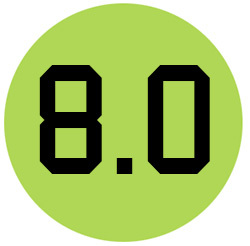 Because of the new improvements to the way that the levels scroll, some of the designs for specific levels and puzzles had to be improved so that it all works together smoothly. The game runs with no problems at a crisp 1080p resolution and it really shows in the in-game cut-scenes; some of which were re-directed and other new scenes have been added. This all comes together into one of the most gorgeous looking games currently available on the PS4. The music and sound effects in Oddworld: New ‘n’ Tasty is very appropriate to the title and sets the scene for this fantastic world filled with so many odd-looking creatures. All of the original music has been remastered, reproduced and re-recorded so that the player has as authentic of an experience as possible. Oddworld Inhabitants have done an awesome job of creating a soundtrack that coalesces so well with the gameplay in that it builds and changes as the in-game events happen in order to immerse you in Abe’s plight. The voice cast shouldn’t be left out either as many of the voices were re-recorded to bring them up to the level of this new release. In general, Mudokons now have a much greater scope in terms of ambient conversation and replies. 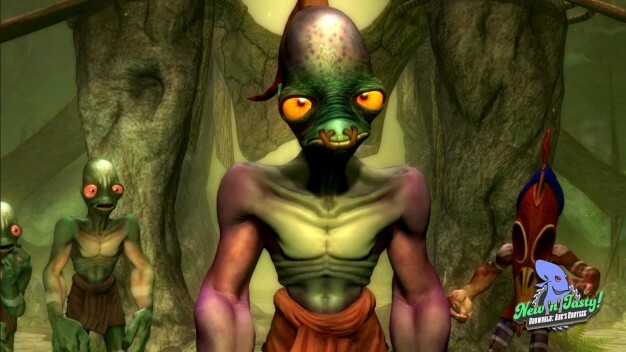 In addition to a handful of celebrities who lent their voices to Abe’s journey, Oddworld Inhabitants also enlisted the talents of their community of die-hard fans to voice some of the inhabitants of Oddworld that Abe will have to rescue. Levels can get to be very intricate and need to be navigated with caution. Oddworld: New ‘n’ Tasty is a much needed blast from the past that gives a look back at the types of experiences that gamers were able to enjoy during the end of the 1990’s. With all of the improvements and upgrades that have been made to the game, however, it still feels a little dated. That isn’t a bad thing. Just don’t go into this experience thinking that it will be something new. The main theme of the game, the feeling that is at the heart of this experience, is platforming. That’s what you will get; no more, no less. With that said, this game is the best example of the genre and as a gamer, you could do a lot worse. 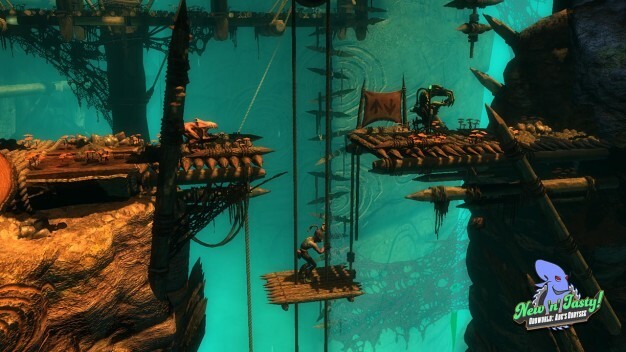 Oddworld: New ‘n’ Tasty is at times, an intense, action filled romp and at others a light-hearted take on the tropes of the “rescue the captured folk” story line, in a strangely odd-world filled with outrageous characters with lots of personality.